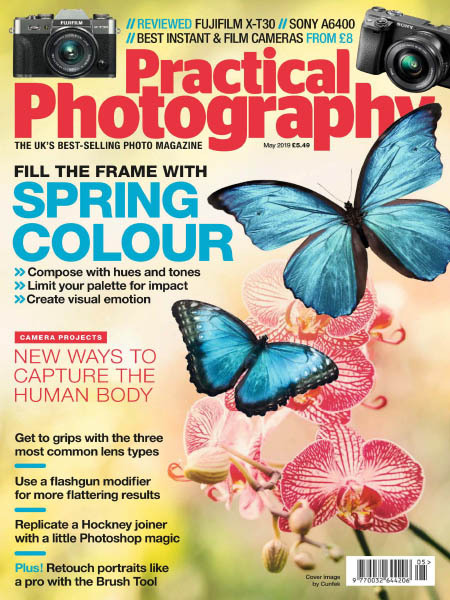 Practical Photography - 05.2019 » Download PDF magazines - Magazines Commumity! This photography magazine has loads of advice on the art of taking the perfect picture, with plenty of stunning high-definition shots included in each issue to remind you of exactly what you're working towards. Their writers have experience of shooting in a huge range of conditions, and can give you tips on everything from tricky lighting to camera maintenance. With your subscription to Practical Photography magazine, you'll get useful guidance through the whole process, from choosing the right lens for each set-up to perfecting your creations on Photoshop. Readers' photographs are extensively featured every month, so once you've captured the perfect image, you can send it in to be printed in their 'Hotshots' section.